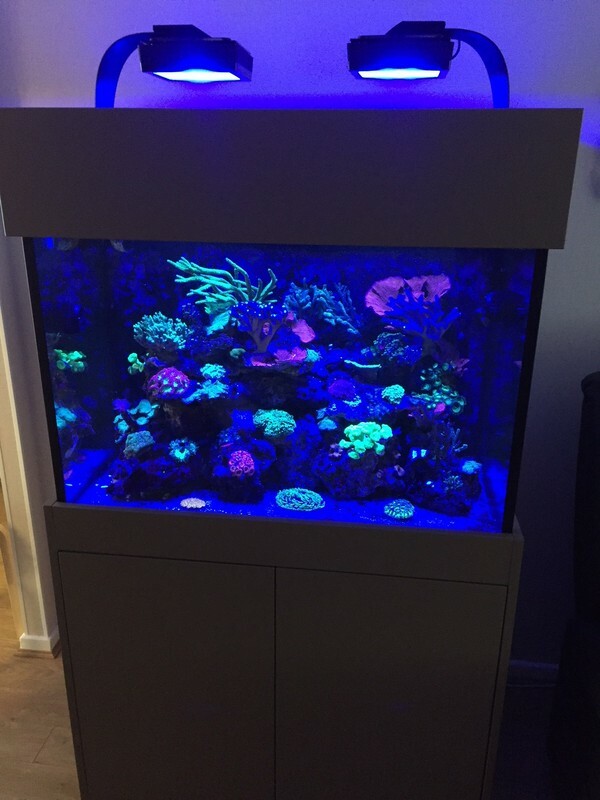 Description: Complete system for sale including everything you could possibly need to run this stunning reef aquarium. 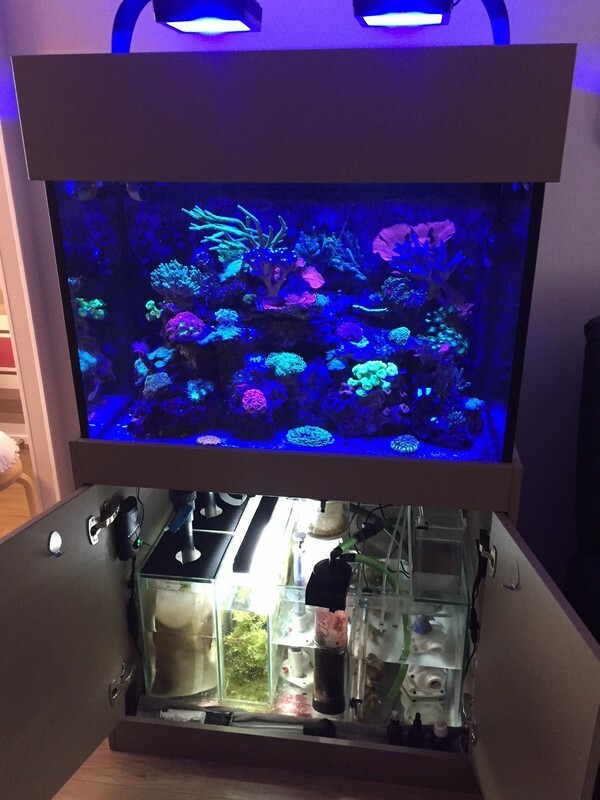 The tank, cabinet and sump were custom made by Wharf Aquatics and are still in fantastic condition. Twin outlet weir finished in black. Lighting from Ecotech Marine, 2 x Radion XR15w Pro G3 complete with the recently released diffuser lenses and RMS mounting brackets. Water circulation includes 2 x Vortech Mp10w QD power heads. Water is returned to the display tank by a Vectra M1 QD. Reeflink for wireless control of all Ecotech gear. 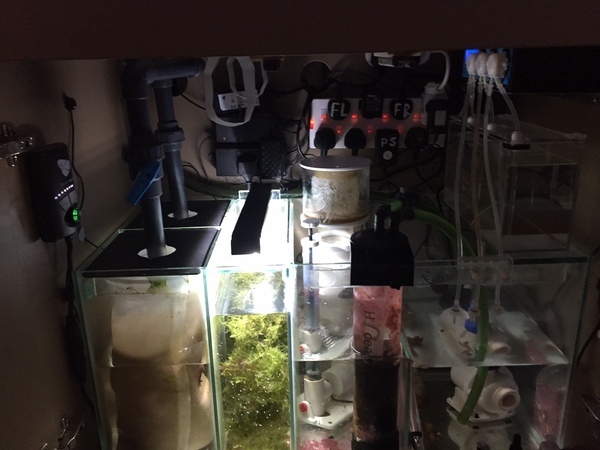 Filtration on this system is handled by a Deltec SC1351 protein skimmer and the DD Fmr Media reactor. There's also a refugium complete with LED light which does a great job in keeping nutrients under control. All dosing is taken care of with a triple Kamoer doser and dosing reservoir. Royal Gramma, Flame Angel, Tomi Bristletooth tang, 3 x Allen's damsels, Firefish, Yellow Assesor, Manderin Dragonet, Randall's Goby, Black Onyx Clownfish, Armed perchlet and a selection of hermit crabs and snails. Blastomussa, Acans, Fungia, montipora, Acropora. I would like to sell the system as a complete package with all of the equipment and livestock in one go. The buyer must be able to collect from Nottingham and dismantle the system and have enough people to lift and move everything at the same time. This system has been maintained to a very high standard regardless of cost, Im in no rush to sell and i will continue to maintain the system until a buyer is found.